Heat oven to 375°F. Spray large cooking sheet with cooking spray. 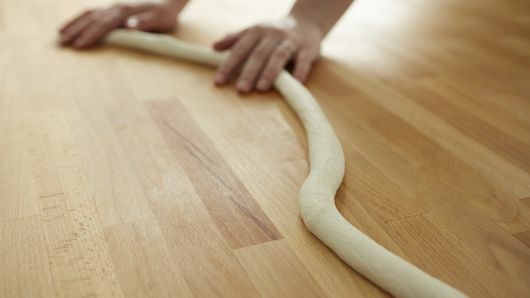 Unroll dough; reroll into long rope, stretching carefully to about 55 inches long. 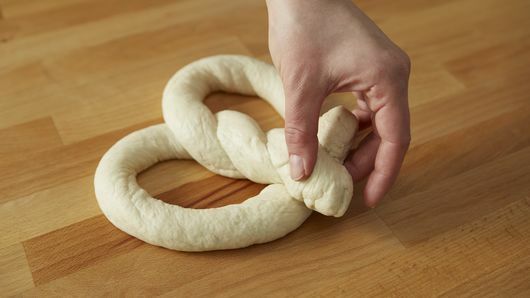 To make pretzel shape, form dough into U shape. Twist ends together twice. Press down dough where dough overlaps in an X. Pick ends up and fold over so they rest over bottom on U shape, pressing ends to stick. Place pretzel on cooling rack placed over waxed paper. In small microwavable bowl, heat 1/2 cup water uncovered on High about 30 seconds or until hot. Add baking soda; stir until dissolved. Brush pretzel with soda mixture. Let stand at room temperature 5 minutes. 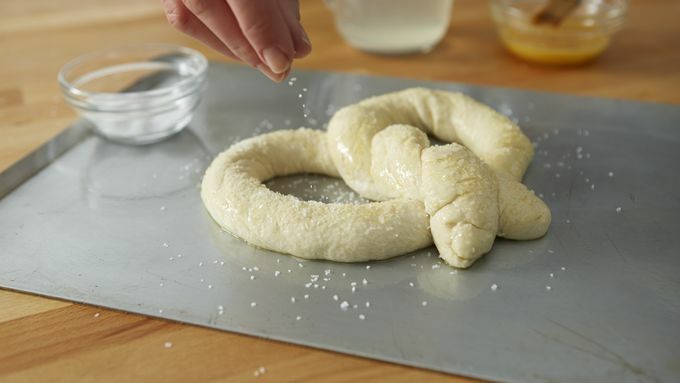 Brush pretzel with beaten egg; sprinkle with salt. Transfer to cookie sheet. Bake 18 to 20 minutes or until dark golden brown. Meanwhile, make sauces: In small bowl, mix cream cheese and powdered sugar until smooth. Cover until ready to serve. Place mustard in small bowl; cover until ready to serve. In medium microwavable bowl, microwave cheese and beer uncovered on High about 1 minute, stirring occasionally, until smooth. Cover until ready to serve. 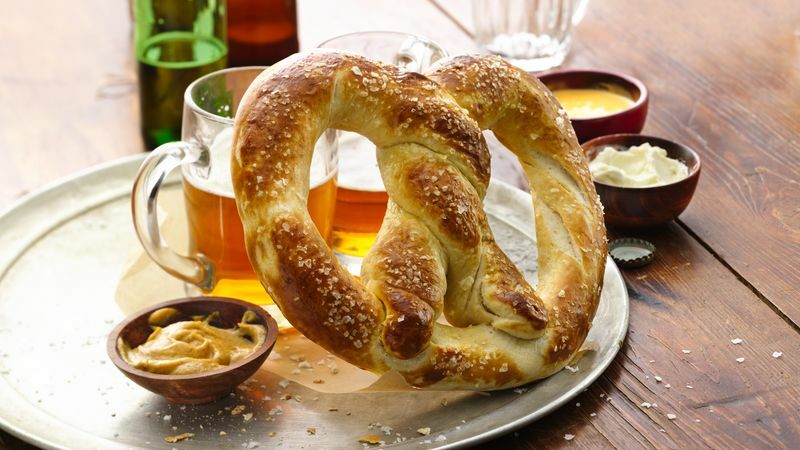 Serve with hot pretzel. Three sauces for dipping; one sweet and two savory will keep everyone happy.